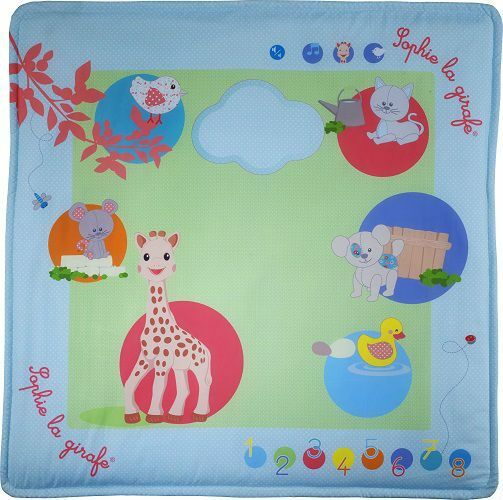 An interactive, musical mat that is perfect for entertaining your baby and for stimulating developing senses! 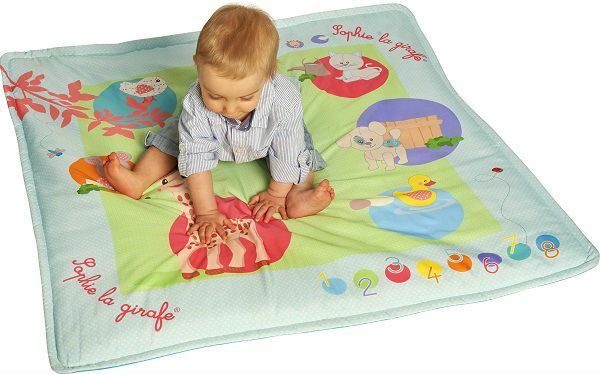 The fun Touch and Play Mat offers babies a multitude of activities, thanks to Sophie the Giraffe and her friends. Discovery mode: Your baby will learn 6 different animal sounds simply by touching the animals. Lazare the Cat, Kiwi the Bird, Josephine the Mouse, Pilou the Dog, Quack the Duck and Sophie the GIraffe with her famous 'honk'! Musical mode: 6 fun and catchy melodies that your little one will discover by pressing the animals. Orchestra mode: Do, re, me, fa, so, la, te, do......Babies will compose their own tunes by using the 8 musical notes! In addition to all this fun, th mat also features a volume adjustment.